Dr. Bhat is a graduate of the University of Mysore in India in Mechanical Engineering. He obtained his Masters and Ph.D. at the Indian Institute of Technology at Madras. Following graduation he joined the Indian Space Research Organization at Trivandrum, India but part of this time was spent in the Institute of Sound and Vibration Research at the University of Southampton in the UK. He was then, for a few years a Research Associate at the National Research Council in the US and a Visiting Scientist at the NASA Langley Research Centre. 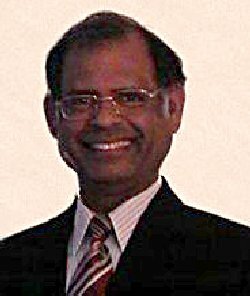 In 1980, Dr. Bhat joined Concordia University, where he is now a full professor in the Department of Mechanical and Industrial Engineering. His research into mechanical design, controls, vibrations and dynamics has been extensive and is internationally recognized. Throughout Dr. Bhat has been a prolific author, with almost 100 refereed journal publications, over 100-refereed conference articles and presentations, and five books. His research has been supported by many companies and governmental agencies, which has developed numerous Masters and PhD students. In addition, his commitment to teaching in almost all aspects of mechanical engineering, include students at both graduate and undergraduate levels. Dr. Bhat has a broad and varied background in mechanical engineering, but one area of interest is interspersed throughout his career. Beginning with studies of rockets for the Vikram Sarabhai Space Centre in Trivandum, India, his continuous interest in the development of aircraft and space vehicles is apparent, with special references to acoustic and dynamic problems associated with the design of such vehicles. His interests are broad and he has lectured in the US Argentina and India, and has been honoured by national organizations in several countries. He has served the engineering profession with great distinction, and in particular the Canadian Society for Mechanical Engineering. He is currently Senior Vice-President of the CSME, has chaired the CSME International Conference on Multidisciplinary Design, and was the Founding President of the ASME, Quebec Section.Dr. Bhat is now a Fellow of the Engineering Institute of Canada.